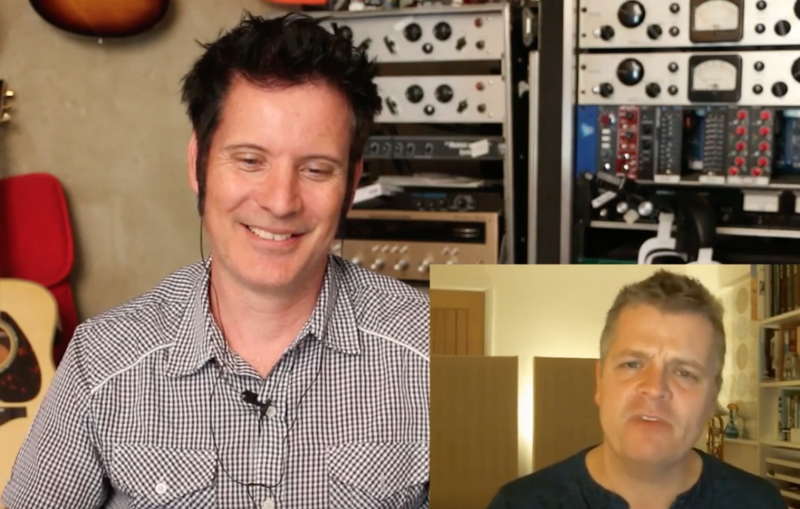 Today I´m interviewing Ian Shepherd, who has been kind enough to share some great advice on how to master in your home studio with us over the past couple of weeks. How to build a career and become successful in today´s world of music. The three points you should consider when taking on new clients. – How to find out if there are issues with the frequency response of your room. – How to overcome a less-than-ideal listening environment. – How to get your ears “calibrated” to your room. It´s come to my attention that we´ve posted our last blogpost with Ian Shepherd on rather short notice, so a lot of you might not have had the chance to join Ian´s Home Mastering Masterclass at the discounted introductory price anymore. That´s why I´ve asked Ian if he would be so kind to set up a special discount code for you, so you can still take advantage of the discounted rate. – And we got it! Ian is offering £50 discount for everyone who would like to join the in-depth Home Mastering Masterclass. If you want to learn how to get competitive masters that can stand up to professional releases, only using the gear that´s already available to you in your home studio, this is your chance! In this masterclass, Ian is teaching you all the principles you´ll need to know to make your songs sound professional and polished, and translate well across multiple playback systems. Learn more about the Home Mastering Masterclass HERE. To claim your discount, please use the code: “PLAP50” in the cart section.